Les Visiteurs : la Révolution is the second sequel of French comedy Les Visiteurs and was released today 6 April 2016. This info may not affect you much if you are not accustomed to the French movies culture of the 1990s. Most movies from Les Visiteurs have reached outstanding scores in the box office in France thus becoming national references. Will Les Visiteurs 3 follow the same trend? 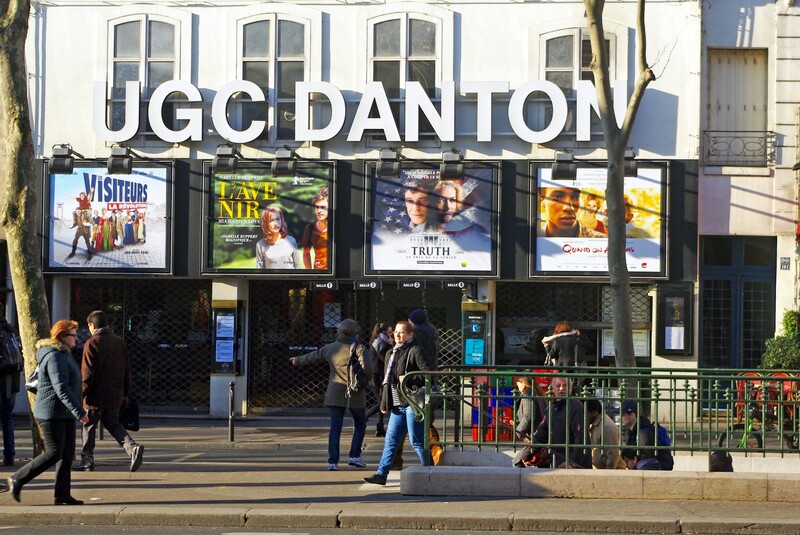 This morning as we were walking past the UGC-Danton theatre in Saint-Germain-des-Prés we noticed the poster of the film Les Visiteurs 3 : La Révolution heralding the release of a much-awaited sequel of Les Visiteurs. This popular series of French comedy films has been directed by Jean-Marie Poiré starring Jean Reno as the Count of Montmirail and Christian Clavier as Jacquouille la Fripouille his servant. An American remake (Just Visiting) was released in 2001 starring Jean Reno, Christian Clavier and Christina Applegate which was neither successful in the US nor in France (1,219,488 admissions).